`Currently in Lansdowne and Winton ! 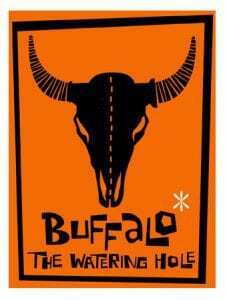 Down at Buffalo Bar, it has different things going on each night of the week, with live music, DJ’s, big screen films, Jam sessions, a massive selection of beers, ales, ciders and the biggest variety of spirits and shots than anywhere in Bournemouth. Bournemouth has some of the best nightlife on the south coast, and Buffalo Bar is proud to rank themselves among some of the best bars in Bournemouth. Its range of home cooked meals use local, responsibly sourced ingredients, and its specials boards always reflect the best of the season, from rabbit pie, to line-caught sea bass, and just about everything in between. The famous “Belly-Buster” Breakfasts are highly regarded, and the tasty home-cooked roasts will put your granny to shame. If you don’t believe it, come on down and check it out.